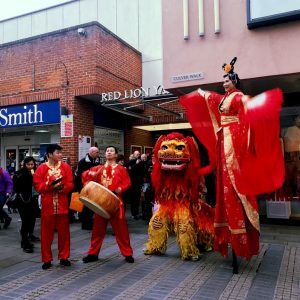 Lion Walk Shopping Centre brought dancing dragons to life on Wednesday as we celebrated the Chinese New Year with a number of colourful and energetic street performances. 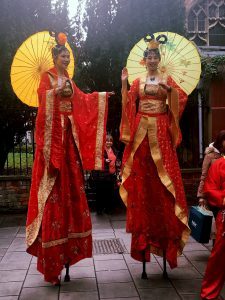 The multi-talented acts offered high impact, attention grabbing performances, including traditional Chinese stilt walkers in traditional garb as well as energetic Giant Doll heads performing their swirling ribbon dances. 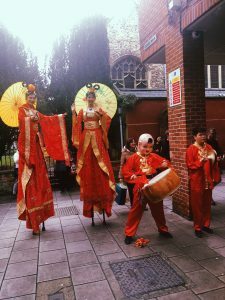 The seasonal Dragon Dance, traditionally performed at New Year to scare away evil spirits, was a huge hit with families who turned out to watch the performances which started after the school hours so children could enjoy the festivities. 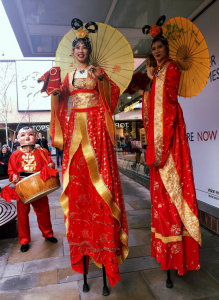 Thank you to everyone who joined us to celebrate Chinese New Year! All entries to be submitted via Facebook. No responsibility will be accepted for entries that are illegible, delayed or damaged electronically or online during the promotion. Automated/bulk entries and entries from third parties will be disqualified. Winner details will be announced on Lion Walk Shopping Centre Facebook page. Entries from people using multiple email addresses will be disqualified. The winning entries will be drawn shortly after the closing time/ date. Prizes are as stated, are not transferable and there is no cash alternative. Entries to all free prize draws must be received as stated by the closing date specified. If you are a winner, you must claim your prize within one week of being notified. We will contact you twice using the details you have supplied to us and if you have not responded within one week of our first contact, the prize will be forfeited and another winner chosen. Entries that are not submitted in accordance with these terms and conditions will be disqualified. Lion Walk Shopping Centre does not take responsibility for any prizes damaged in transit or collection. By entering this competition you are agreeing to have your photograph taken for media purposes. Competition closes on Thursday 14th February at 12pm, anyone who enters after this time and date won’t be entered into the competition. 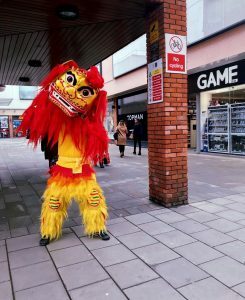 Entries from Lion Walk Shopping Centre staff are not valid.